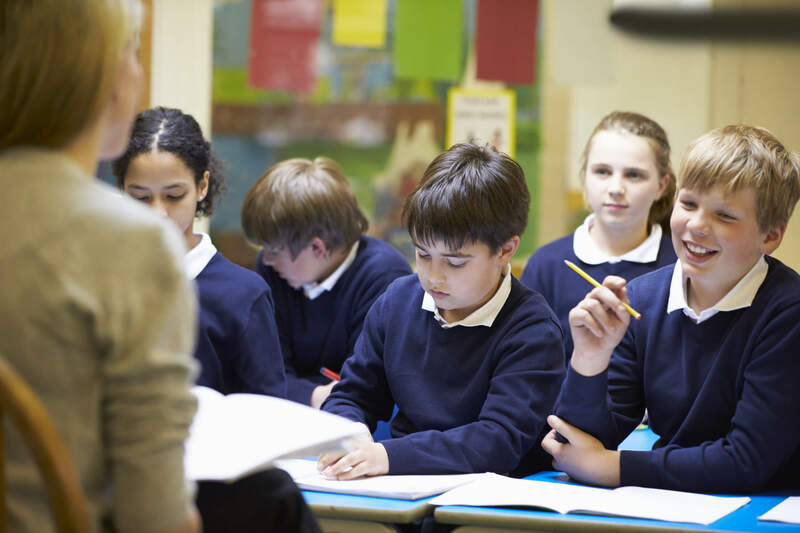 Choosing a private school can be tedious, overwhelming, and challenging. Many of our clients inquire about the best schools in Charlotte. Although we do not endorse or recommend any particular school we can certainly shed some light on the schools in the area with a bit of useful information about each. Keep in mind the information found here is available on each school’s website as well. The schools ranked here are based on the number of enrollments for the school year 2013-14. It is the oldest and the eighth largest private school in the States. Most students live in Charlotte and come from Myers Park, South Charlotte and others travel from Weddington, Matthews, Rock Hill and Davidson. The school is nestled in a nice woody area and features a full gym, athletic fields, and various extracurricular activities. This is the most popular private school, and had more than 1600 enrollments last year. They have close to 200 full time faculty members and the general student-faculty ratio is 10:1. The junior classes have up to 2 teachers per classroom. The average class size for grades K-4 is 24 and 12-18 per class for grades 5-12. The average experience of the teachers here is no less than 18 years and more than 50 percent of the teachers have advanced degrees in their respective fields. Serves grades from Kindergarten to 12. The annual tuition ranges from $14,975 – $21, 440. Many students live in Charlotte and come from Myers Park, and other areas like Lake Norman and Ballantyne. It ranks at 12, for schools in North Carolina. It is large with athletic fields and a recognized sports program. This private school has more than 1500 enrollments last year. They have close to 150 full time faculty members and the general student-faculty ratio is 9:1. The average experience of the teachers here is no less than 16 years and 45 percent of the teachers have advanced degrees in their respective fields. Serves grades from Kindergarten up to 12. The annual tuition ranges from $15,935 – $22,080. Many students live in Charlotte and come from Myers Park, and other areas such as Lake Norman and Ballantyne. The student gender demographic is almost 50:50. It is a religious school that focuses on teaching Catholicism and its principles. It ranks at 60 for private schools in North Carolina. This private school has more than 1400 enrollments last year. They have close to a 100 full time faculty members and the general student-faculty ratio is 19:1. Serves grades from 9 to 12. The annual tuition ranges from $8,942-$12, 735. Most students live in Charlotte and come from Myers Park, Lake Norman, and Weddington. This private school has a breathtaking campus, complete with a Japanese garden, butterfly gardens, a cross-country trail of acres of woods. They had 1400 enrollments in the school year 2013 – 2014. They have close to 140 full time faculty members and the general student-faculty ratio is 10:1. The average experience of the teachers here is no less than 19 years and more than 50 percent of the teachers have advanced degrees in their respective fields. The annual tuition ranges from $16, 100-$20, 250. This is a private baptist school and ranks 73rd in North Carolina. Other than the general classes, they also have classes for AP and honors. It is a religious school that teaches the principles of John the Baptist. This private school had over 1200 enrollments last year. They have close to a 100 full time faculty members and the general student-faculty ratio is 25:1. Serves grades from Early Childhood Education (preschool) to 12. The annual tuition ranges from $5,130 – $6, 650. This private school ranks 13th in North Carolina. This school has a focus on new learning methods, emphasizing on teamwork, problem solving and flexible thinking. This private school has more than 850 enrollments last year. The average experience of teachers is no less than 12 years and the general student-faculty ratio is 9:1 and the average class size is 15. The annual tuition ranges from $9,500 – $16,100. This private school ranks 15th in North Carolina. They have customized programs for each student, depending on their individual capability. This private school had close to 350 enrollments last year. The average experience of teachers is more than 10 years and more than 40 percent have an advanced degree in their respective fields. The average class size is 15. Serves grades from Kindergarten to 12th grade. The annual tuition ranges from $5,393 – $12,195. Brisbane Academy is an independent, non-profit, SACS (Southern Association of Colleges and Schools) accredited, state licensed, College Preparatory School for Pre-K through Grade 12. We provide a Full Service Education which additionally includes an After School Enrichment Program, and Tutoring Center (fully transferable credits given). Variable Tuition Rate from $4,000 with parental aid available. Please keep in mind that this list includes a few of the larger private schools in Charlotte, however, there other several private schools in the area of various enrollment and faculty sizes. Most private schools in the Charlotte are accredited and well respected around the world. As you consider relocation to Charlotte keep in mind that several public schools perform well in select areas and we encourage you to ask your realty expert for more information about areas of Charlotte that may be of interest to you and your family.